You guys know how I love live and local music. In the 3 weeks, I have seen: The Kaiser Chiefs, the Ting Tings, Snow Patrol, and the summer hasn't even begun yet. This Bees Deluxe event coming up on 5/6 combines the two - the live and the local. 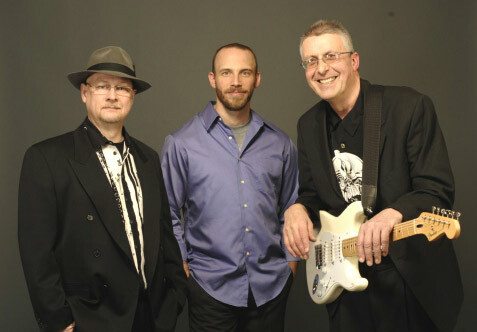 The acid-blues Boston-based trio “Bees Deluxe” celebrate the release of their album “Space Age Bachelor Pad Blues” with a live show at Johnny D’s in Somerville on Sunday evening, May 6th. The band financed the album with a Kickstarter project which included a psychedelic video shoot on location on Isla Mujeres, Mexico. I'm going to be honest, I have no idea what acid blues is, but I'm listening to some of the tracks on their website right now and I like it. Laid back, great guitar riffs, all I need is a drink and I'll be all set. 0 Response to "Bees Deluxe: Acid Blues CD Release - 5/6"